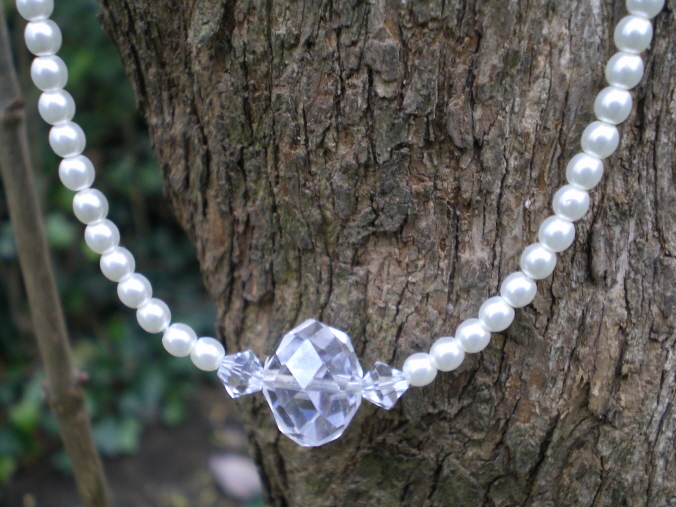 Sterling silver heart clasp. 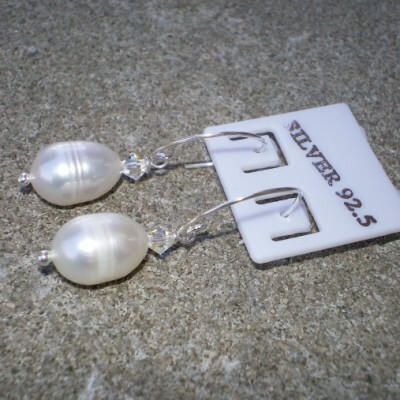 Matching earrings with sterling silver ball post. 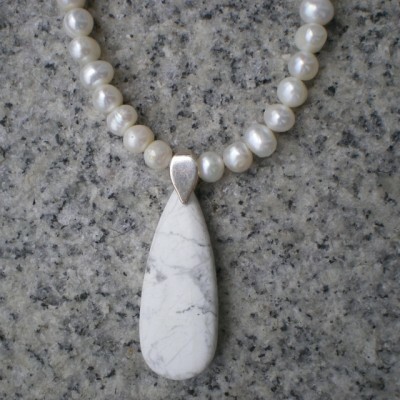 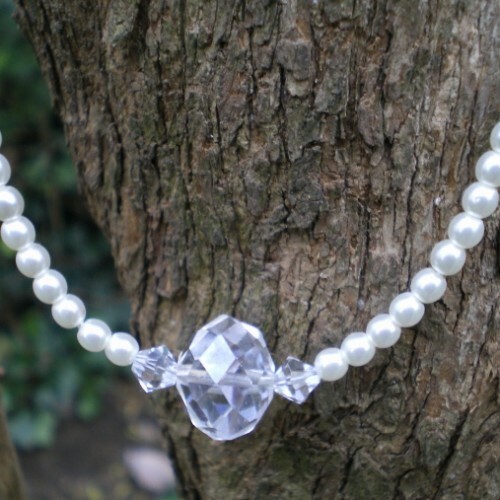 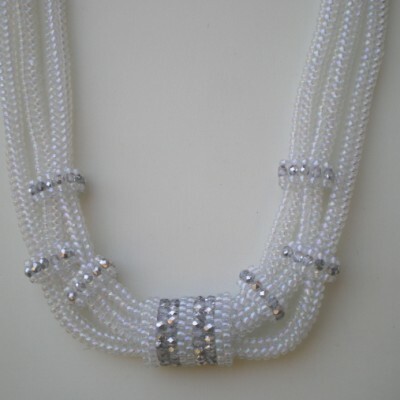 Be the first to review “18″ Long necklace,white glass pearls with large swarovski crystal rondelle flanked by swarovski crystal bicones” Click here to cancel reply.